Watching the many tourists visiting my hometown of Washington, DC this week for the Presidential Inauguration and enjoying the wonders of our beautiful neo-classical architecture in our monuments, buildings and museums, I was inspired to write this post on this intriguing new book by Washington, D.C. and architectural historian Pamela Scott entitled Capital Engineers: The U.S. Army Corps of Engineers and the Development of Washington, D.C. 1790-2004. 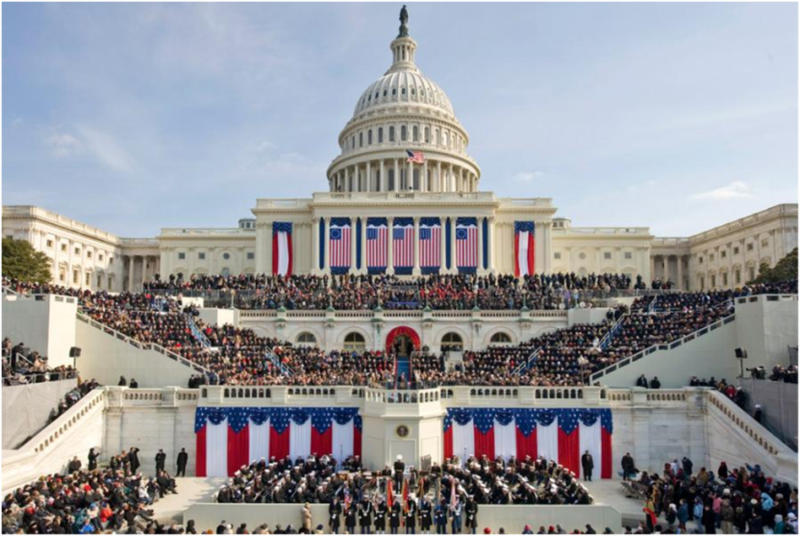 Although best known for its “water resources and environmental work and its construction of facilities on military bases,” the U.S. Army Corps of Engineers played a pivotal role in the design and construction of our Nation’s capital: Washington, D.C. Not only did Army Engineers fill the role of one of three commissioners who ran the city, they were instrumental in constructing a new and rapidly growing city on donated land, including literally creating land out of swampy terrain on the banks of the Potomac River where today National Airport, majestic monuments and sprawling public spaces can be found. The purpose of this large, beautifully presented book is to bring to the public’s awareness the depth of involvement of the U.S. Army Corps of Engineers in the design, development, construction, and maintenance of our Nation’s capital by effectively chronicling its history and showcasing rare images, maps, and drawings of the Corps’ work. In the preface we learn that many of these images were in poor condition and not accessible to the public before, but the advent of digital photography and scanning has made these available to stunning impact in this high-quality publication. The Antebellum City, 1800-1865, is a period where The Smithsonian Institution is built along with the start of the Capitol, and infrastructure begins to be laid. The Victorian City, 1865-1890, marks the building of the Washington Monument and the Library of Congress. The Progressive City, 1890-1915 delivers the Government Printing Office, The Lincoln Memorial, Rock Creek Park, and Potomac River bridges. The Expanding City, 1915-1950, is the period during two world wars, and noted is the building of the Pentagon among other Federal buildings and growing infrastructure. Metropolis, 1950-2004 is the final stage covered, when the city turns into a metropolis, and requires expanded infrastructure to support this. However, the most fascinating part of the book is the many anecdotes sprinkled throughout, giving the reader a feel for the many strong personalities involved in building the beautiful city we have today and the many controversies that surfaced throughout the over two centuries since its founding. 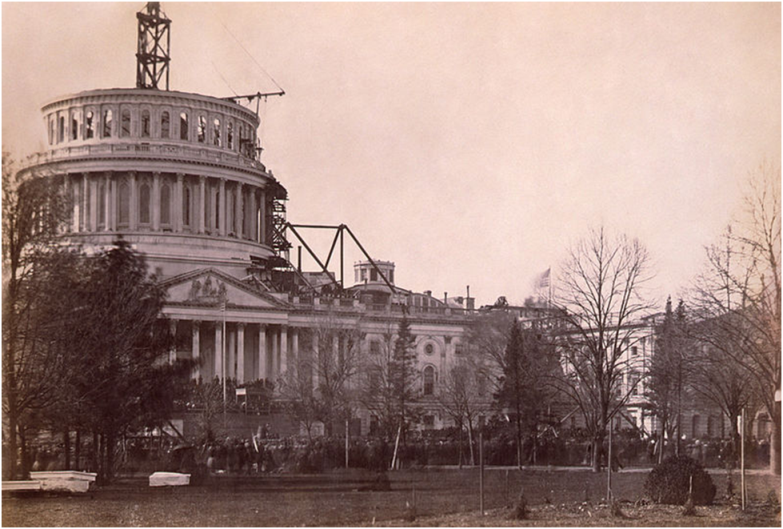 To continue Lincoln’s vision to complete the construction in spite of the Civil War, the Corps continued work on the ambitious and tricky Capitol Dome, with the book showing rare photos and drawings of the work being done, including the planned design and engineering behind this magnificent structure. 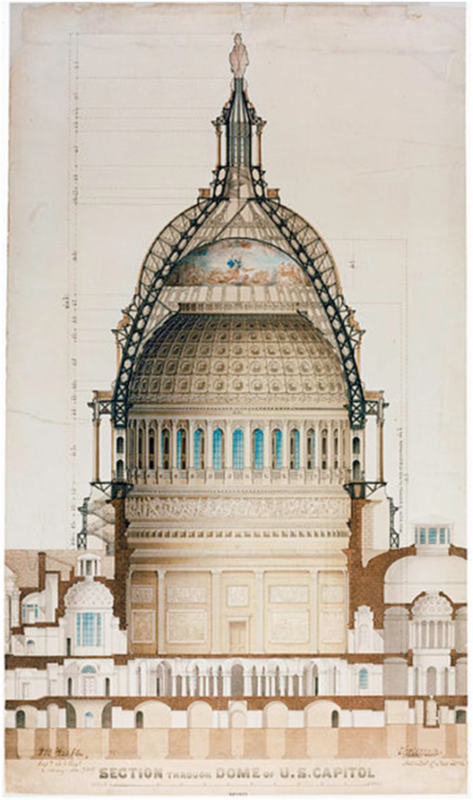 Image: Cross-section drawing by Thomas Ustick Walter for the dome of the United States Capitol building, circa, 1859. Source: Library of Congress. Another story from the book is that General Thomas Lincoln Casey, Chief of Engineers at the time, decided to avoid both extensive congressional debate and public criticism in the building the Library of Congress and “embarked on the Library’s decorative scheme without prior approval of Congress.” Using the time-honored Washington tradition of masking expenditures in generalities, Casey hid the hiring of sculptors under a generic heading of “marble work” and that of fine artists under “painting” in his annual reports. Such was the faith in his work that Congress was not fazed by this deception when it was revealed. 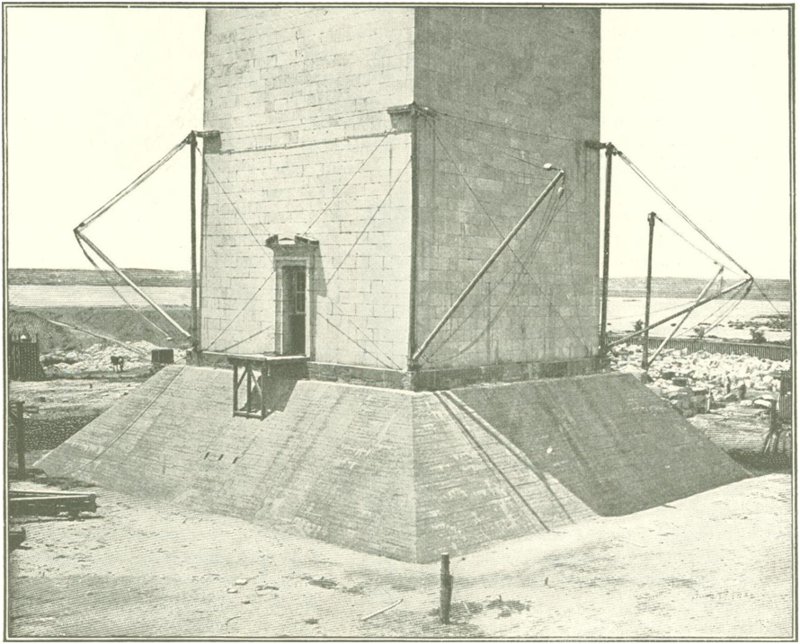 An interesting chapter about the Washington Monument showed the Corps identified a need to shore up the foundation in order to build the obelisk to the necessary height in accordance with ancient Egyptian proportions. Such was the respect for their findings that Congress authorized additional funds for the Corps to build a new cement foundation to provide the long-lasting support desired. Fortunately, the book shows that Corps of Engineers had a broader vision and optimism, creating a major city with stunning vistas that rival those of major capitals throughout the world. All Americans owe, as Townsend said above, “a sense of gratitude” to the U.S. Army Corps of Engineers for our beautiful capital city! 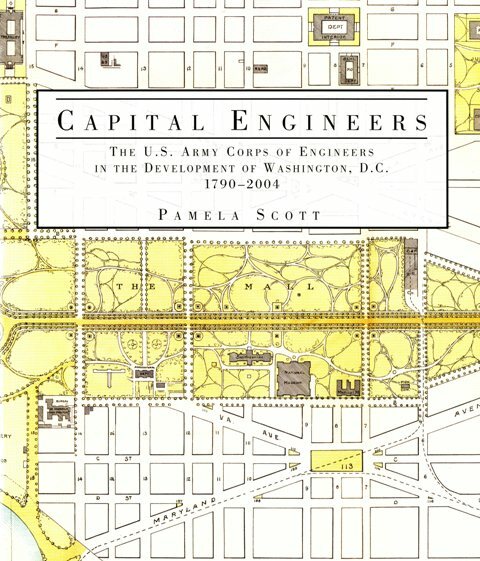 How can I obtain a copy of Capital Engineers: The U.S. Army Corps of Engineers and the Development of Washington, D.C. 1790-2004? This entry was posted on Thursday, January 24th, 2013 at 5:17 pm and is filed under Civil War, Library of Congress (LOC), U.S. Army Corps of Engineers. You can follow any responses to this entry through the RSS 2.0 feed. You can leave a response, or trackback from your own site. Hurrah, that’s what I was exploring for, what stuff present here at this weblog! Thanks admin of this web site.